In a small Italian town, two disparate brothers come of age during the 1960s and '70s. Accio and Manrico remain close despite their opposing political views, but when they both fall for the same woman, the rift between them grows. 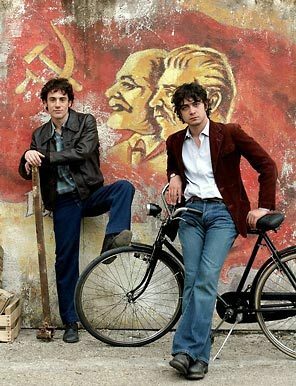 Taking place over a 15-year period, this comic drama directed by Daniele Luchetti explores Italy's changing sociopolitical landscape through the brothers' turbulent relationship. The monthly CineForum runs annually from January through June and is organized by the Italian Cultural Center in conjunction with the Minneapolis College of Art and Design. This year's screenings are held on January 27, February 24, April 27, May 25 and June 29, 2012 at 7:00pm at MCAD. All movies are in Italian with English sub-titles. Cost: Free and open to the public; your donation at the door enables the ICC to organize quality programming such as the free monthly CineForum.